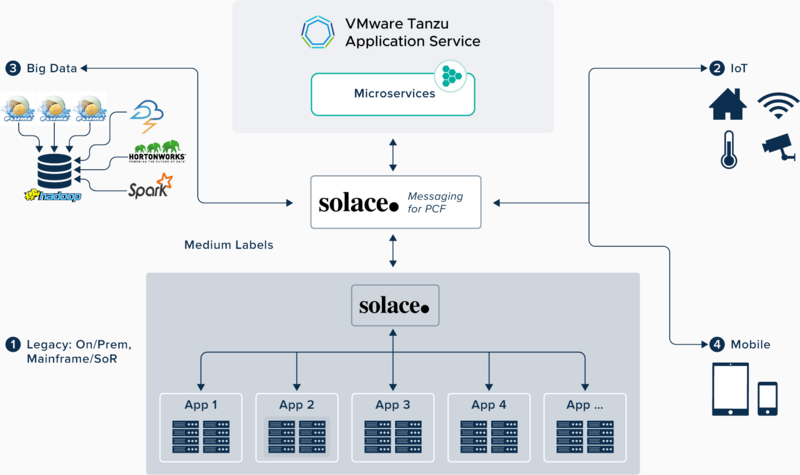 With Solace Messaging, developers can run apps on Pivotal Cloud Foundry that tap into the power of the leading robust, performant, and scalable data movement technology. Developers use APIs and standard protocols like JMS, MQTT, REST, WebSocket and soon AMQP 1.0, to share data with apps running in both public and private IaaS, PaaS and legacy environments. Instead of cobbling together multiple incompatible purpose-specific messaging and streaming technologies you can simplify data sharing across big data, cloud, IoT and legacy applications with a common messaging backbone. When events and messaging are used in conjunction with microservices, applications are even more scalable and resilient. Ensures consistent configuration of security policies, logging and access to applications and devices outside your Pivotal Cloud Foundry deployment. Fully supports HA deployments, upgrades and security patches. Solace technology enables open data movement by routing information between applications, devices and people across clouds using open APIs and protocols. Open data movement helps companies modernize legacy applications and successfully pursue analytics, big data, cloud computing and Internet of Things strategies. Solace Messaging is a Managed Service. The tile deploys the Virtual Message Routers onto Pivotal Cloud Foundry managed infrastructure. The Solace Messaging tile registers a service broker on Pivotal Cloud Foundry and exposes its plans in the Services Marketplace for developers to choose. 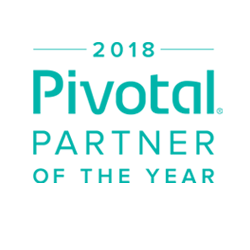 Operators can go to: https://docs.pivotal.io/partners/solace-messaging/installing.html for information regarding resource requirements, pre-requisites and installation/configuration instructions.